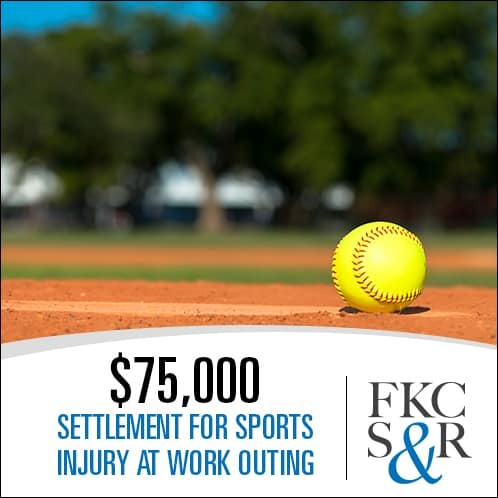 Feldman, Kleidman, Coffey & Sappe attorney Steve Cohen was able to secure a settlement for a 28 year old client who was injured playing softball at a work sponsored outing on a local field in 2014. As he was back-pedaling to catch a fly ball, his foot went into a hidden depression in the outfield. He fell and suffered a torn ACL. He had a prior ACL tear and surgery in 2007 to the same knee and this incident required him to have surgery again. He made an excellent recovery with no residual problems. He is in training to be a law enforcement officer. 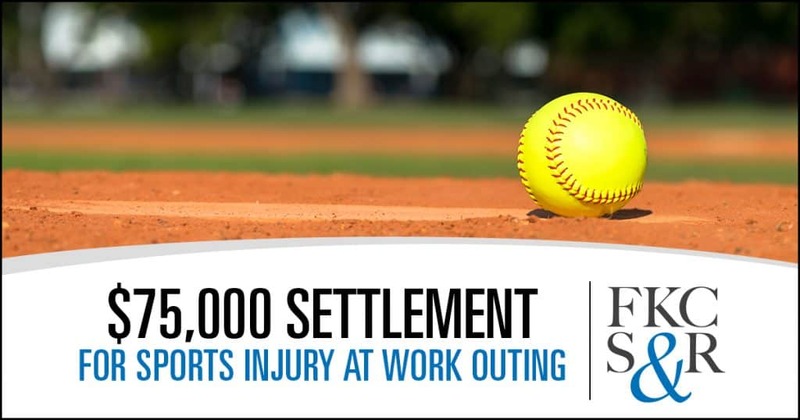 The case settled for $75,000 after depositions.